Ancient Aliens: Lovable idiotic entertainment or potentially detrimental to archaeological integrity? Two days ago, a Peruvian news and tourist site called “Peru this Week” published an article claiming to have undisputed evidence that aliens lived and thrived in ancient Peru. According to the curator of the Paracas History Museum and contributor to this History Channel show Ancient Aliens Brien Foerster, he claims that a geneticist (who wanted to remained anonymous) believes that the mtDNA extracted from modified crania belonging to individuals of Paracas culture (located on the south coast of Peru) isn’t human. Today, the same writer (Rachel Chase) published a response to her piece called, “Calm down, the Paracas skulls are not from alien beings,” and I found it to be very informative. Chase stated that several small, lesser-known news sources where reporting on Foerster’s “information,” so she thought she’d comment on the claims because it seemed like a fun, silly story. Speaking as an aspiring bioarchaeologist who has spent three research seasons working in the Andes, I have heard the baseless claims that individuals with enlarged and elongated cranium weren’t actually human, but extra terrestrials a surprising number of times. Well-founded, tireless research efforts, and common sense from mainstream and educated archaeologists, anthropologists, historians have proved that individuals can, and did, intentionally shape the malleable crania of infants in many parts of the world throughout time. Misinformed conspiracy theorist continue to insist that there is a “debate” among archaeologist and mainstream culture about the origin of these modified crania when there is none. Conspiracy theorists insist that there is no evidence to explain why people intentionally shaped their heads, but there is both historic and bioarchaeological evidence that this practice existed. The earliest example of cranial modification in the Andes dates to about 6000 years ago, and is found among individuals of the Paracas culture, as well as the Nasca, Wari, and Inca. After the Spanish arrive in South America in the 16th century, chroniclers (such as Pedro Cieza de León, Bernabé Cobo, Garcilaso de la Vega), wrote that natives had abnormally-shaped heads and preformed the practice of cranial-shape modification on their children. According to bioarchaeologist Debora Blom, “early Spanish chroniclers described cranial shape modification as a cultural atrocity, most tended to discuss it as an overt sign of group affiliation, important in distinguishing regional, ethnic, and/or kin group differences (see Journal of Anthropological Archaeology 24 (2005) 1–24). 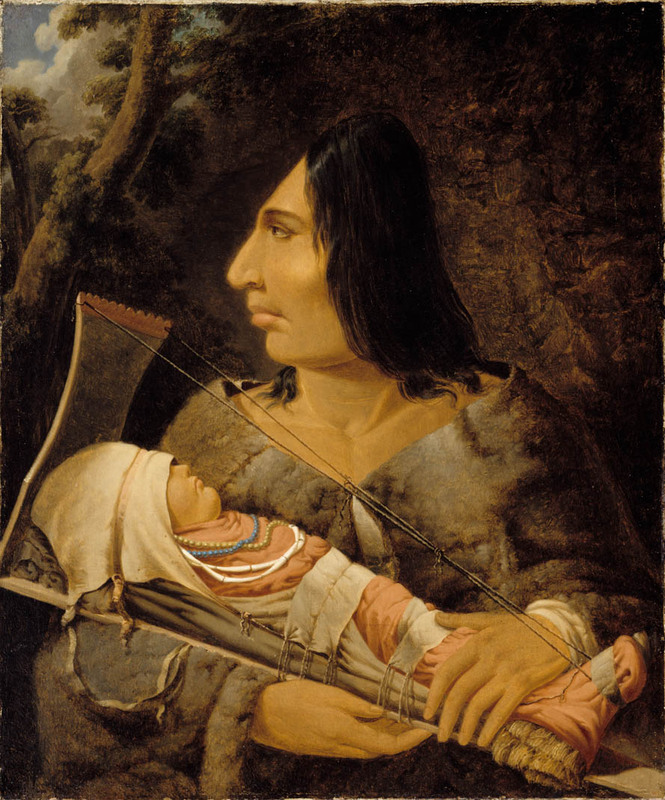 Additionally, there is evidence of cranial modification in North America (see with “cradle boarding”) and among the Maya (who believed that shaped heads made one more attractive and may have protected against soul loss; see Duncan’s article). There is a massive amount of physical evidence to support that humans intentionally re-shaped their heads, so much that there is even a methodological standard used by bioarchaeologists to classifying head-shapes (see Buikstra and Ubelaker’s Standards, 1994). An infant is born with six separate cranial bones: the occipital, two parietals, two temporals, and one frontal bone, so that the infant may pass through the birth canal. Over time, the edges of these bones ossify and fuse together. During infancy the cranial bones are pliable, allowing for individuals to bind and shape an infants head with rope, boards, and even padding. Bioarchaeologists find crania that have rope and padding depressions in the otherwise flat bone and have even found the materials used to re-shape the head. The evidence is there! You may be wondering why don’t archaeologists simple ignore these absurd sensationalized theories? Because it is disrespectful to the profession and such baseless challenges make it seem as if archaeologists aren’t legitimate scientists. The social sciences have enough problems as it is, between legitimizing what we do to receive funding and garnering public support. There is a disconnect between the dusty arcane academic journals filled with specialized jargon and communicating the intellectual merit archaeology has to improving our understanding of human history, achievement, and potential to the everyday person. That is why media venues such as National Geographic, the Discovery Channel, and NOVA, are so vital. However, when channels like “The History Channel” masquerade as the absolute authority on the past and sensationalize the “sexiest” moments and people in history for the shock value and rantings, many people don’t distingues between main-stream social scientists and those who have more eccentric beliefs. I am tired of spending many-a-dinner-party explaining, for the umpteenth time, that I do not excavate aliens. I believe that it is exceptionally ethnocentric to believe that the Inca, Paracas, Moche, or any ancient people were not intelligent enough to construct such awe-inspiring monumental structures or advanced enough to develop complex societies and civilizations. Last August, I was at a dinner party. I should note that everyone present had at least a college degree, and many had completed advanced degrees. I was the only archaeologist there, so my friend’s brother asked me about what I do. I gave my 90 second elevator speech, and everyone began the ask me questions, most along the lines of “what is the coolest artifact you have ever found?” and “how old are those sites compared to the Egyptian pyramids?” Then, one of the men in attendance asked me, “so what do you think about the theories that the aliens built Machu Picchu and all those deformed heads?” The man in question had been a, what is a polite way to say this? Oh yes, A PAIN, the entire evening. I told him that those theories have zero supporting evidence. Programs (like Ancient Aliens) falsely state their historical legitimacy in order to garner viewers and rantings, so people believe these ridiculous assertions. Last I said that to believe that humans aren’t capable of such amazing feats is ethnocentric. When the Europeans arrived in the Americas, they had to discredit the local population’s religion, intelligence, and way of life. Only then could the Europeans establish their authority over the indigenous population. The same racist viewpoint persists, and now, people are so willing to believe that just because you are famous and on television, you must have some sort of credibility. Why watch a blustery academic in tweed talk about Inca masonry techniques when you could listen to some guy talk about alien abductions? Which is the sexier topic? I am pleased to report that my response silenced that guy, and hopefully made him think twice about believing everything he watches and reads. Shows like Ancient Aliens and conspiracy theories are entertaining in their own way. Their claims give me the opportunity to teach the public fascinating cultural practices of the past. I know, and many of my peers know, that these sensationalized claims are simply a way to grab the public’s attention, and make money. However, I worry that these un-scientific challenges to the archaeological profession attempt to discredit the legitimacy and benefits of the scientific exploration to the past. I don’t want my vocation to become a joke.